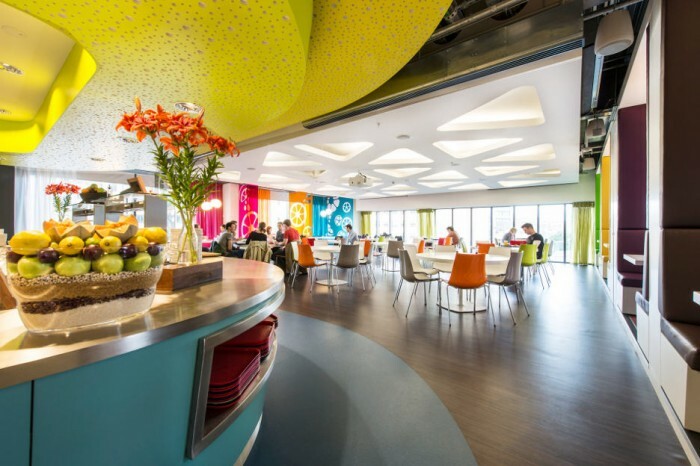 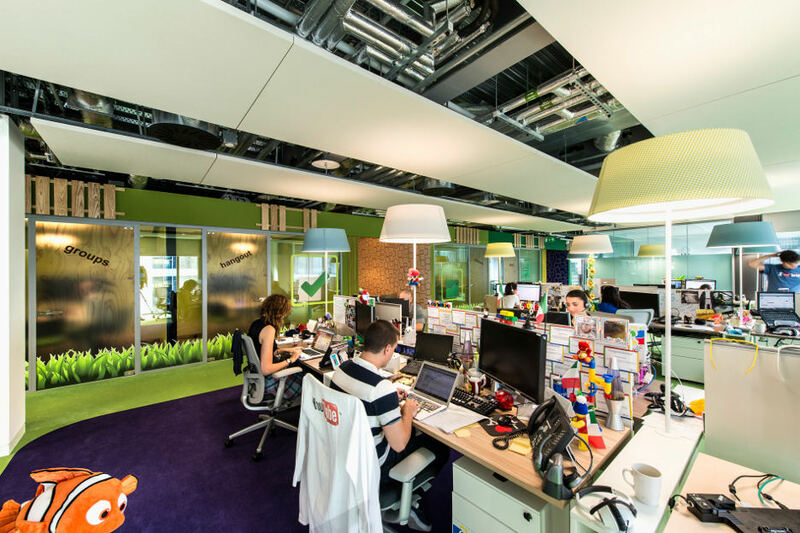 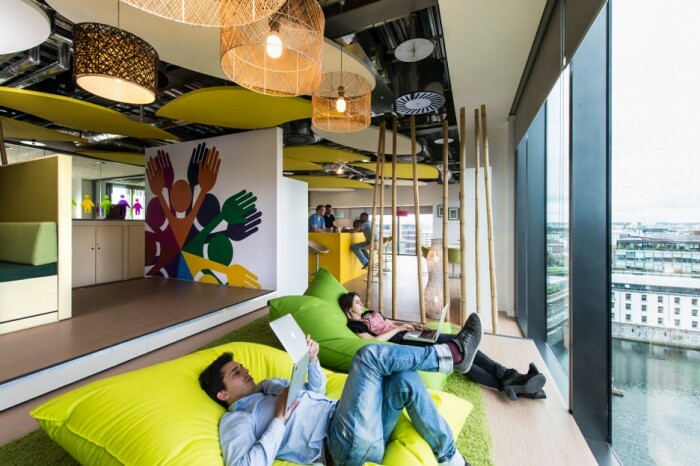 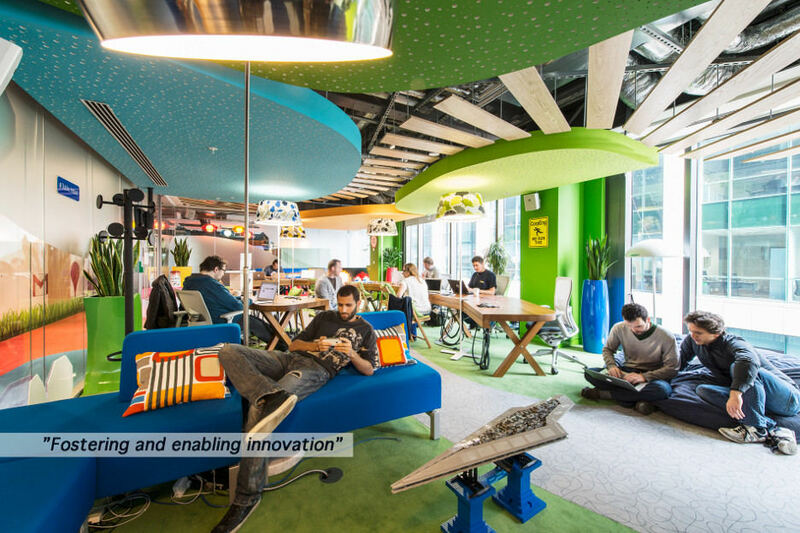 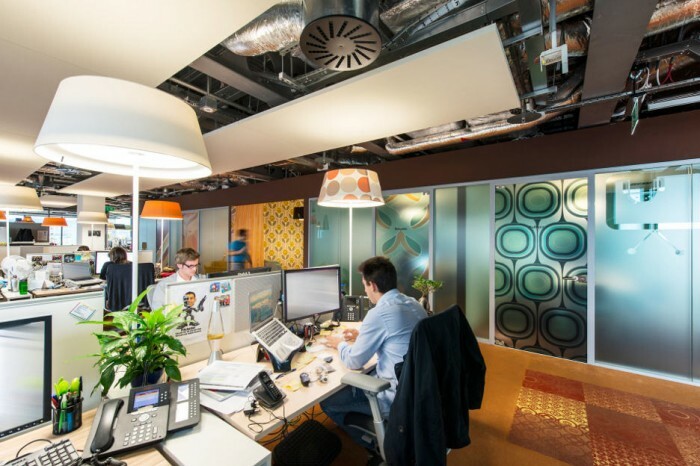 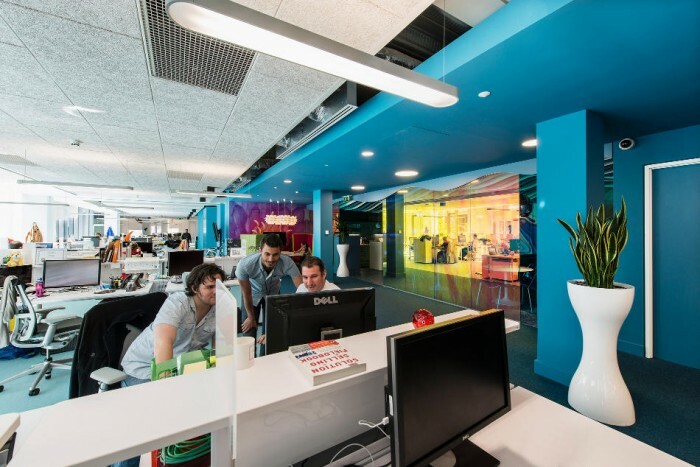 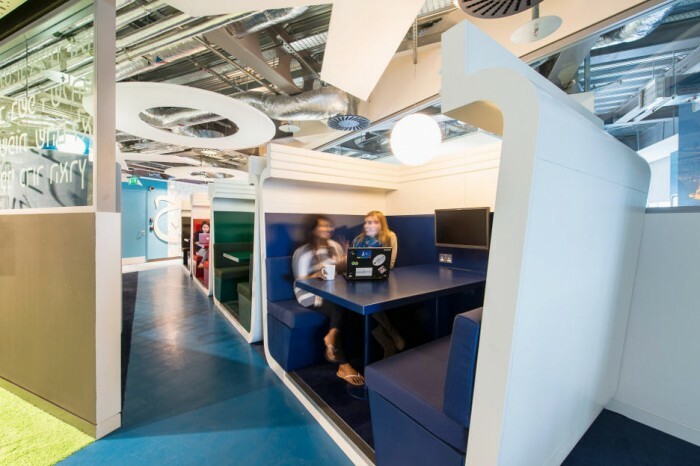 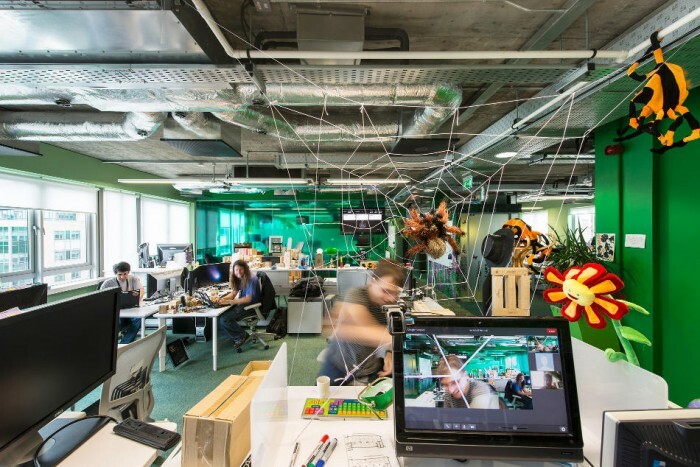 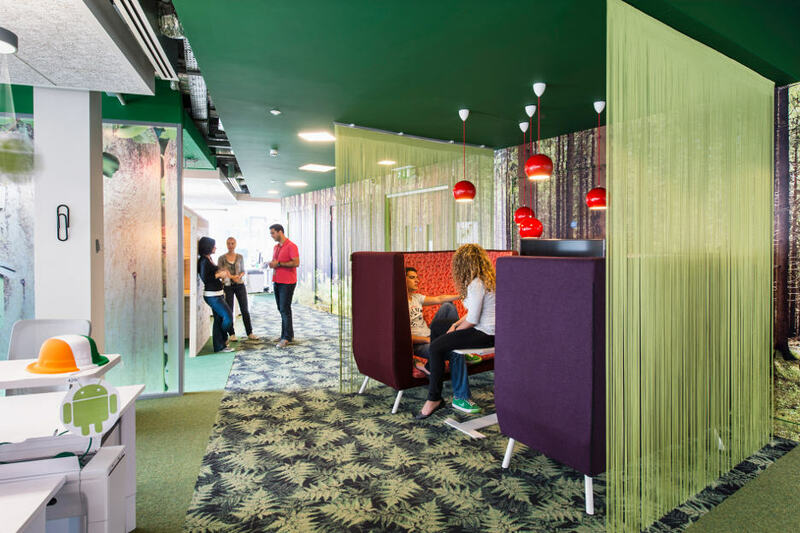 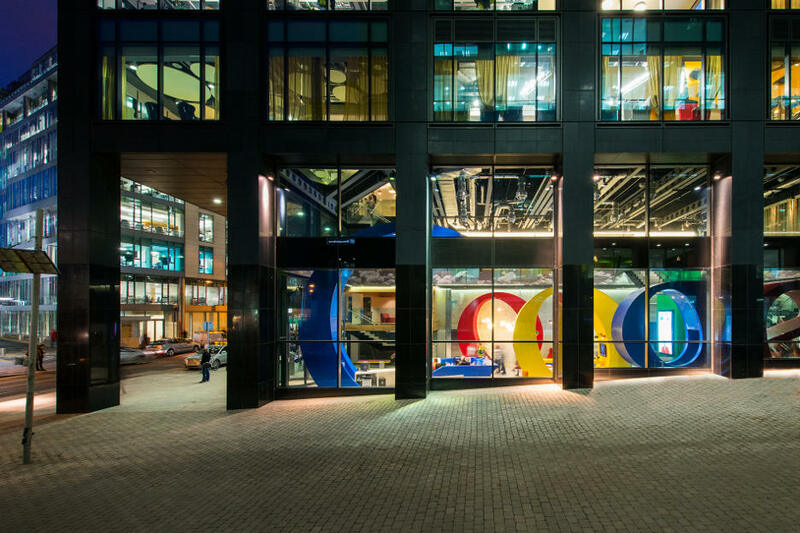 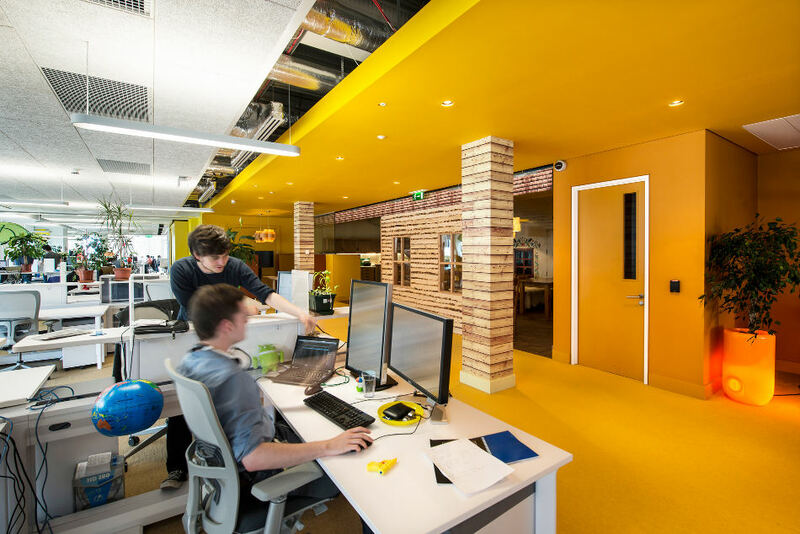 Located in the tallest commercial building in Dublin, the Montevetro, or Google Docks as it is now called, houses Google's headquarters for Europe, the Middle East and Africa designed by Camenzind Evolution. 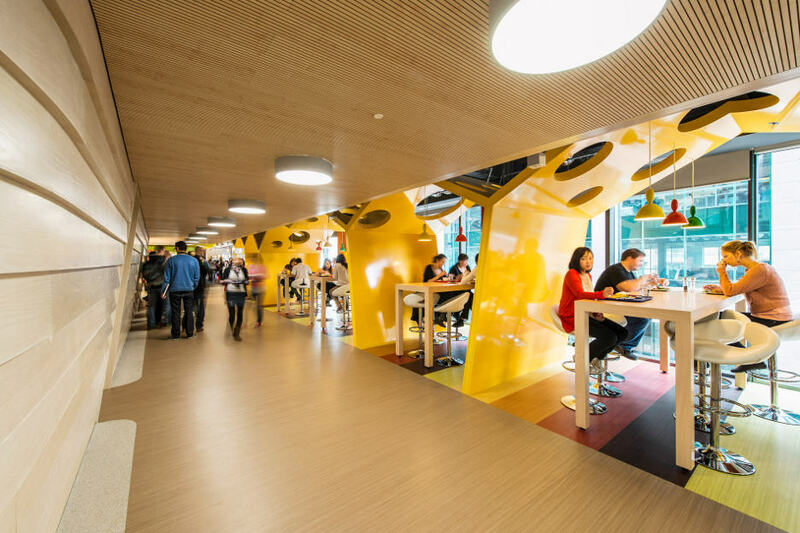 Â Historically befitting of Googlian culture, the multi-hued complex boasts office spaces tagged with names such as 'Clown College', 'Funland' and 'Bouncing Castle'. 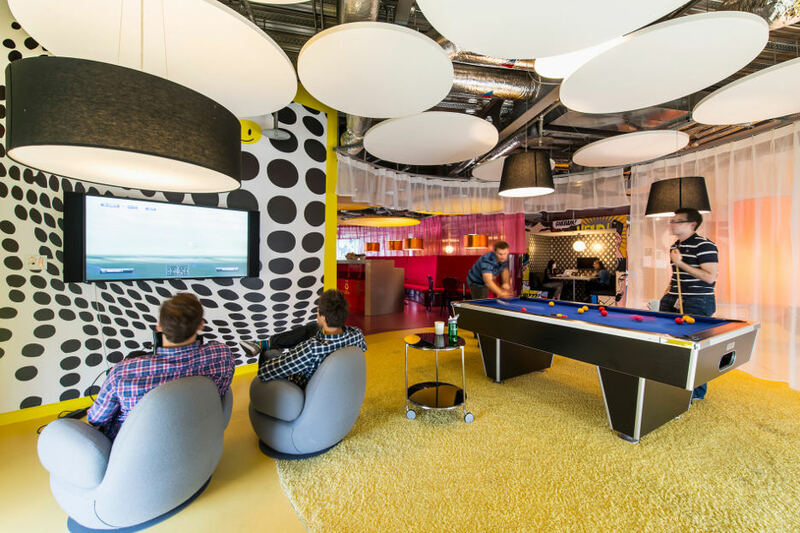 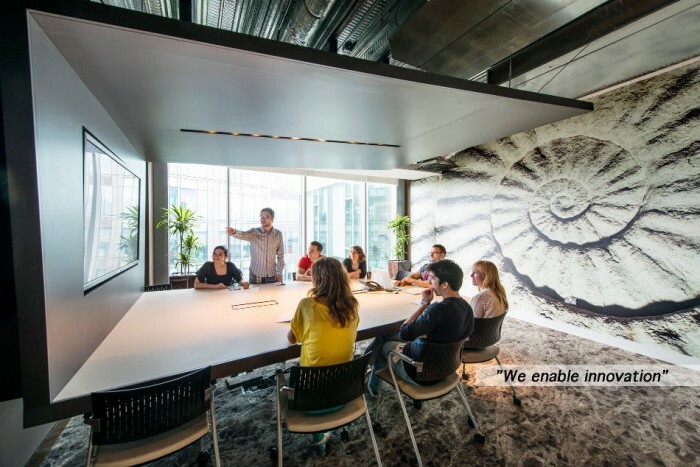 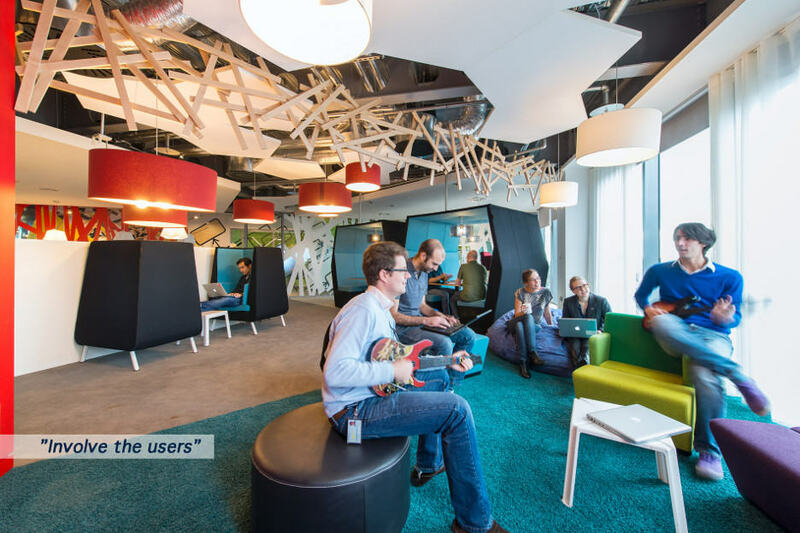 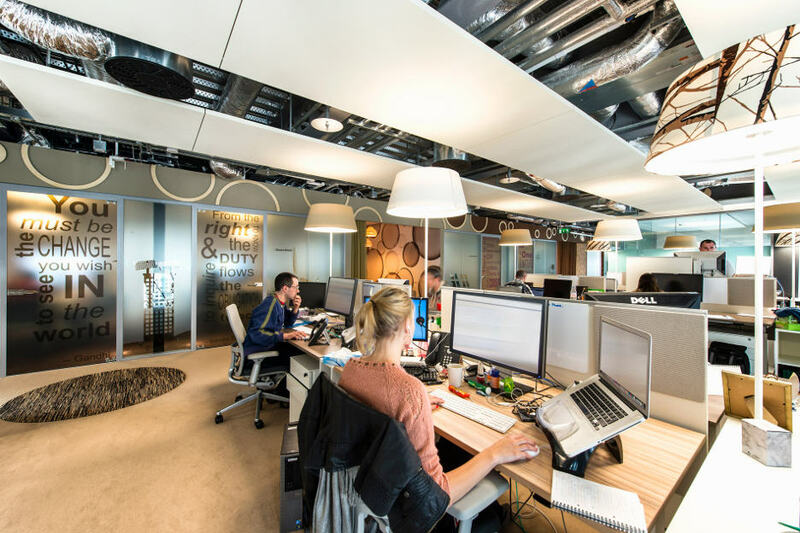 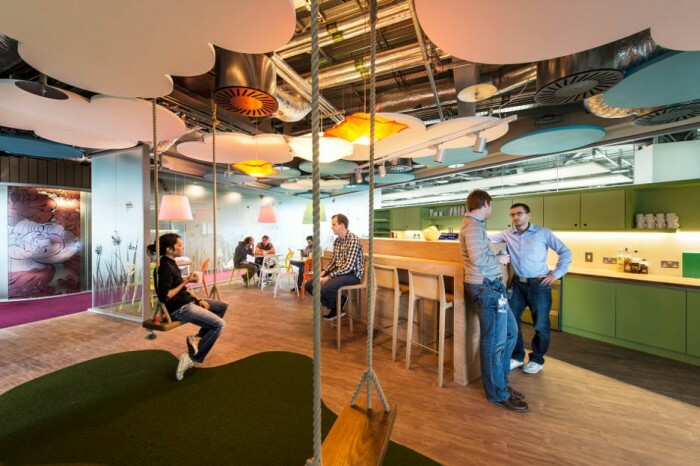 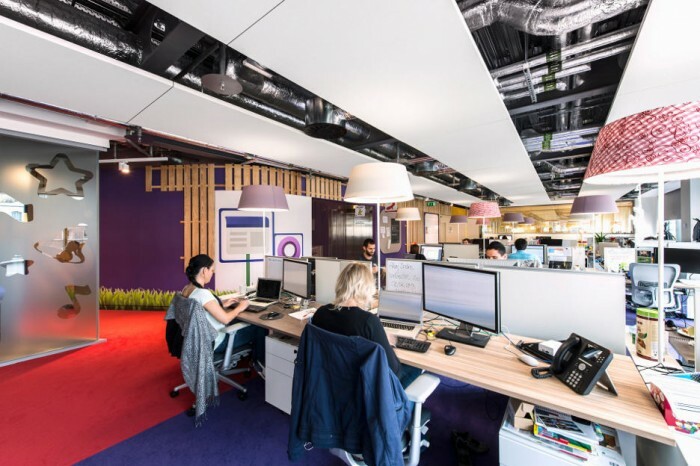 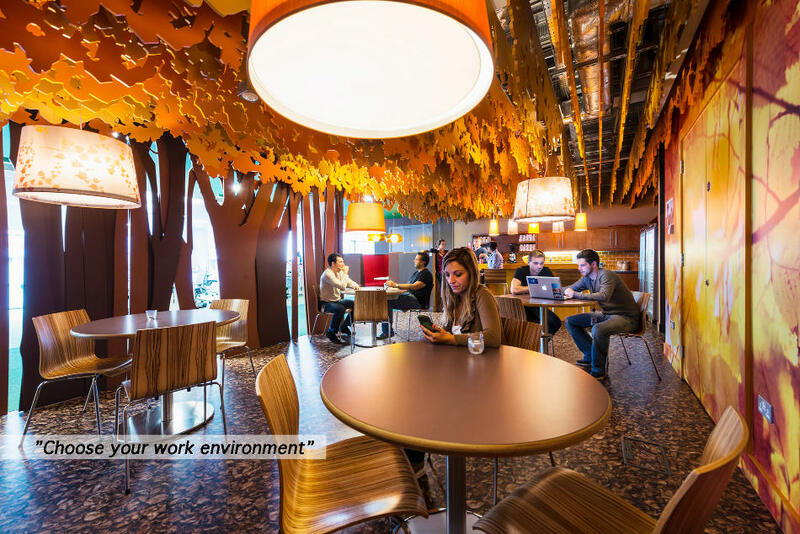 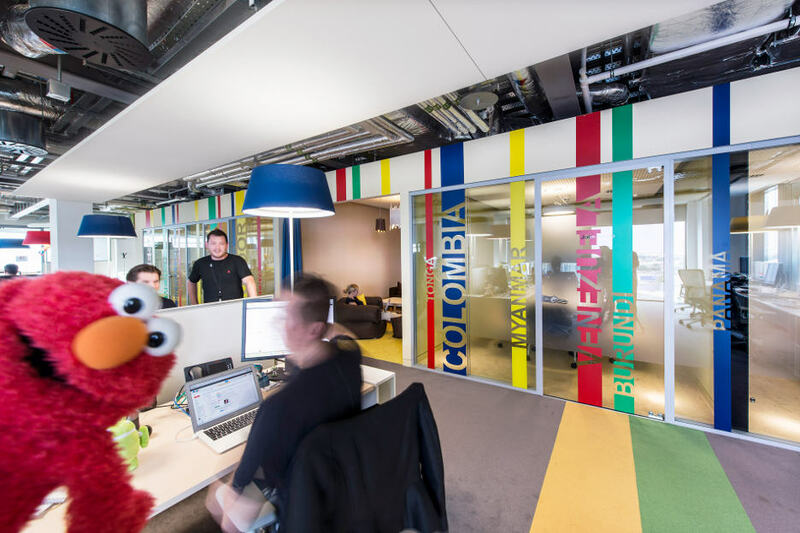 Employees come from over 38 countries and 46 languages are spoken within the office, with the company offering employees their own gym, swimming pool, pool tables, shuffle boards, bean bags and swings the common language everyone seems to speak is 'fun'. 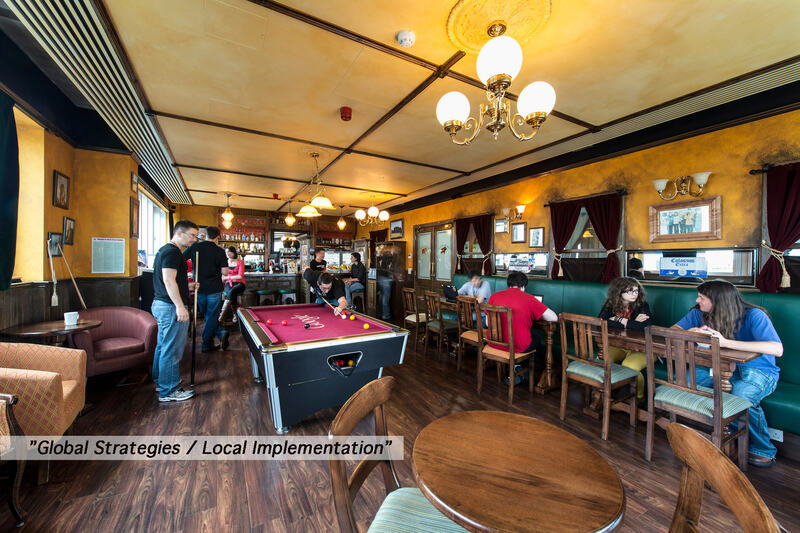 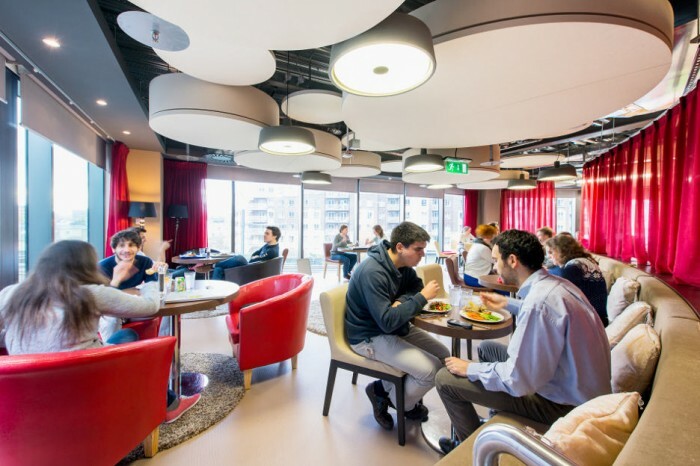 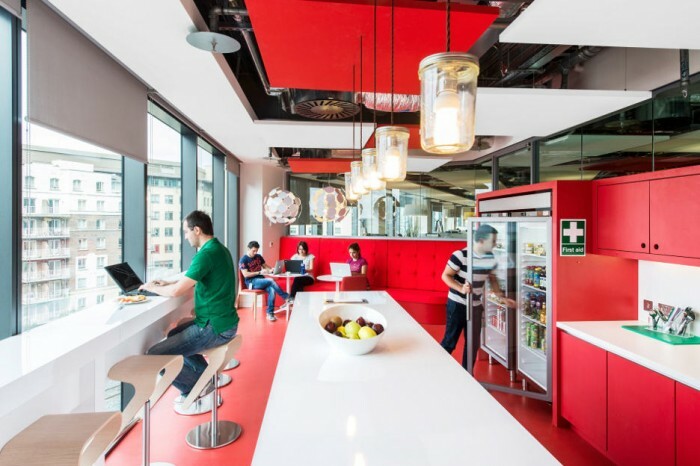 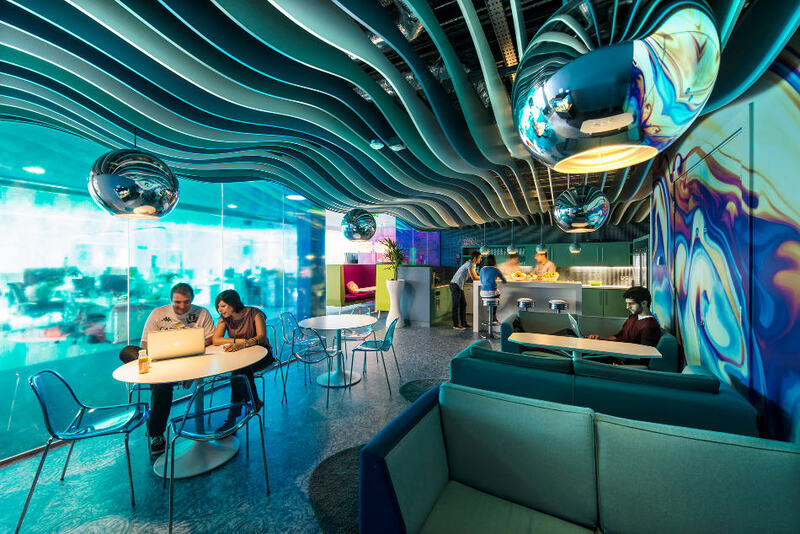 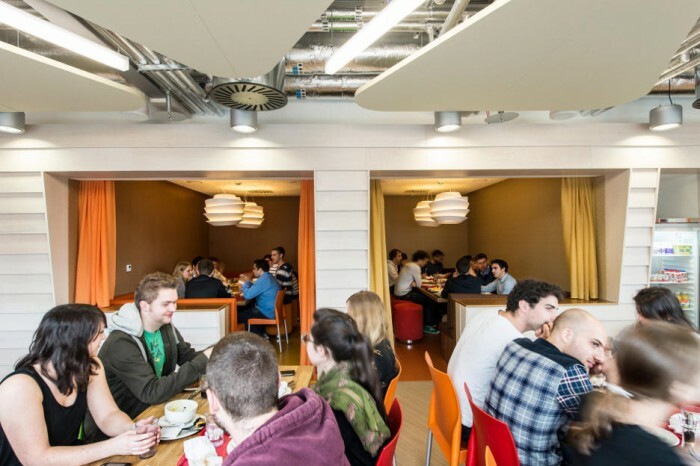 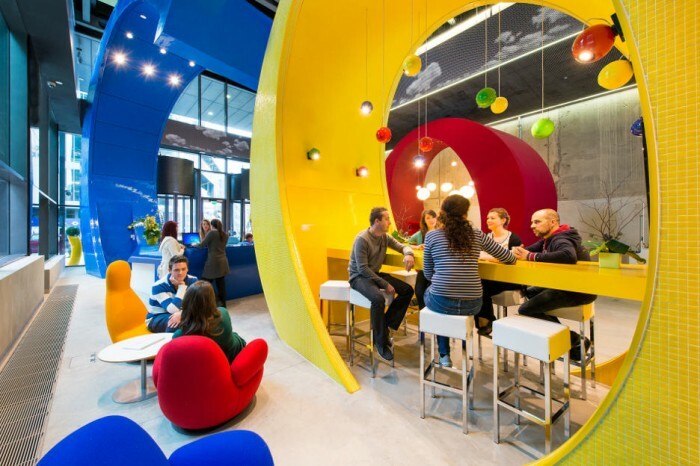 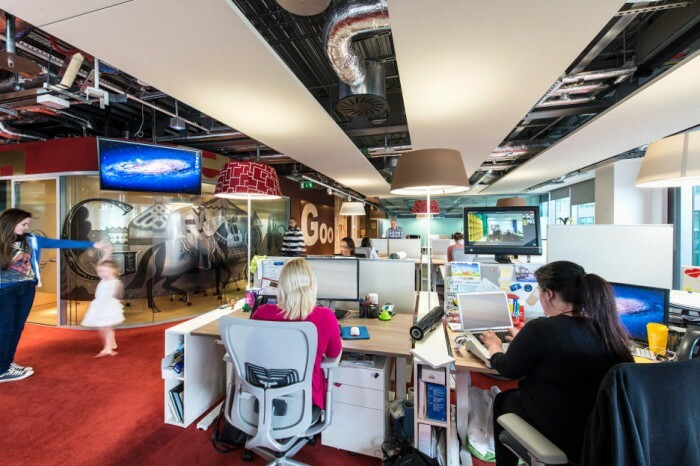 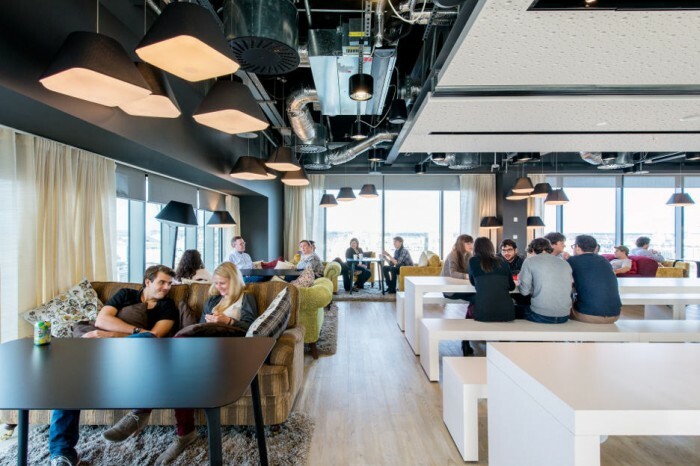 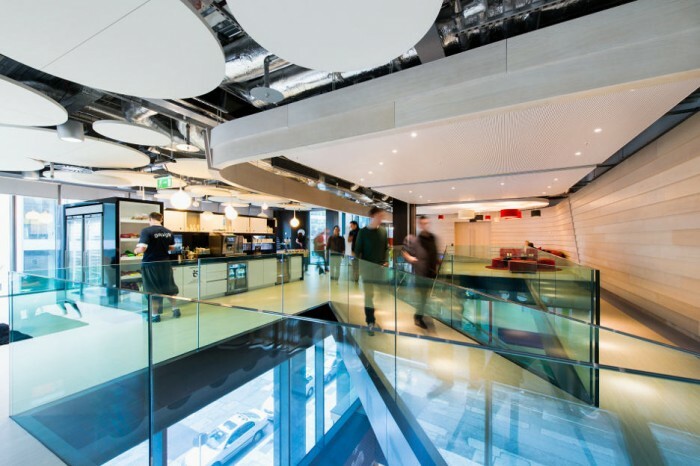 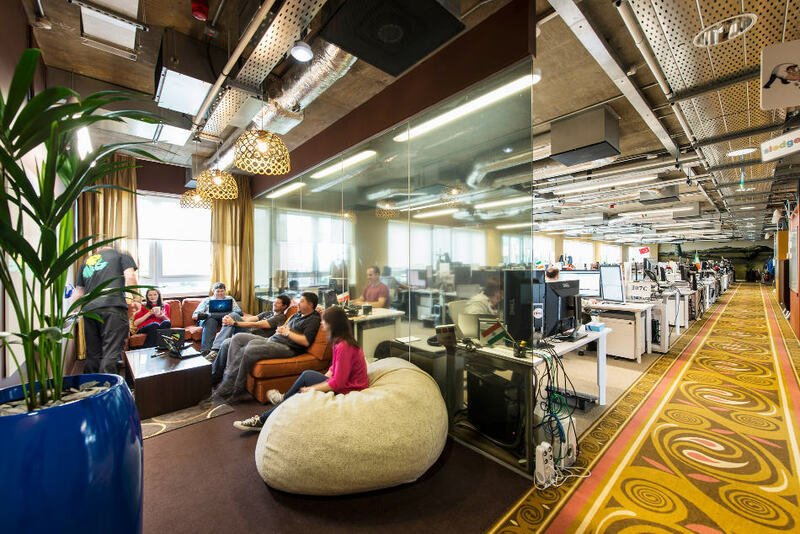 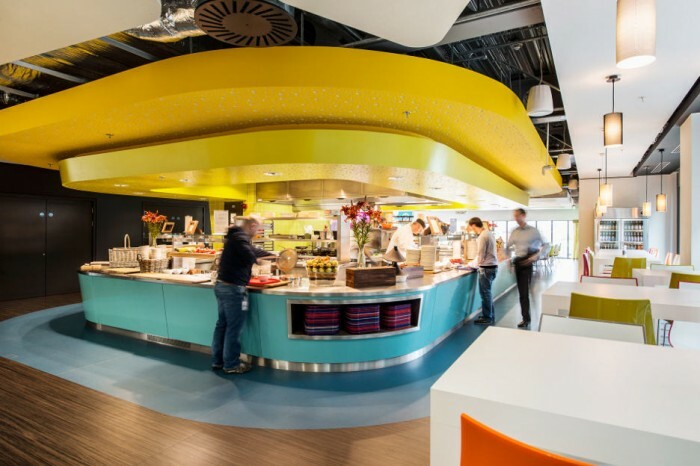 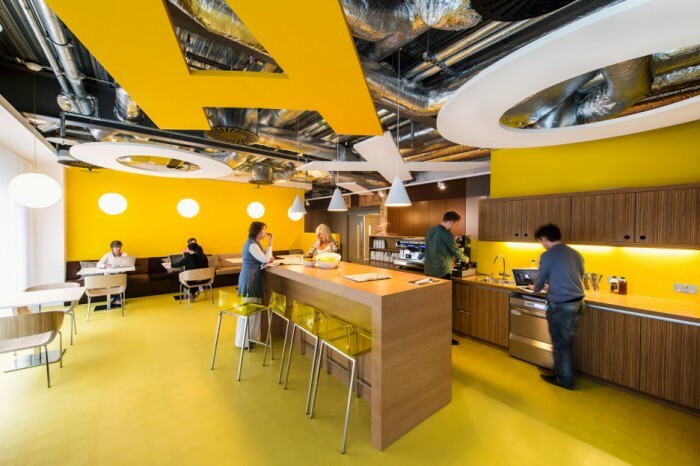 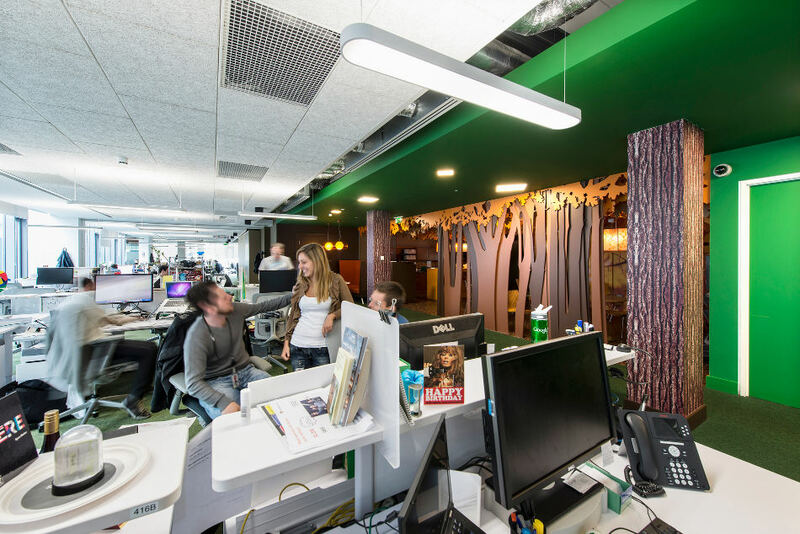 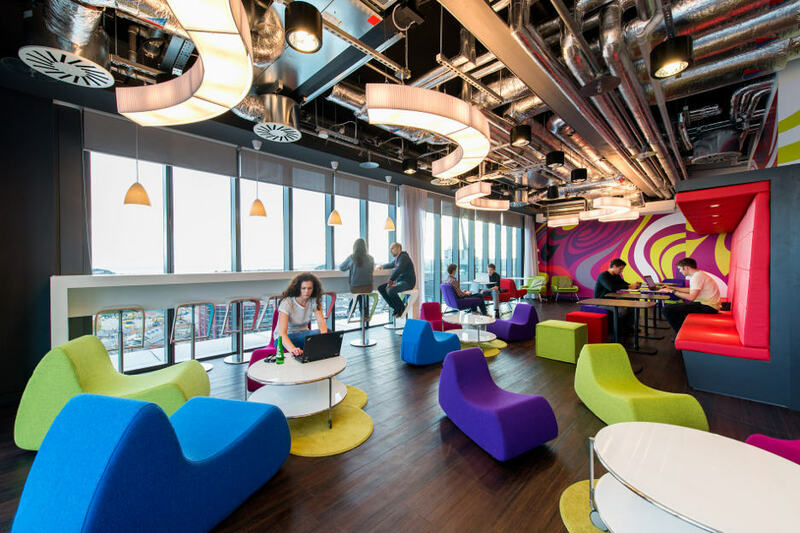 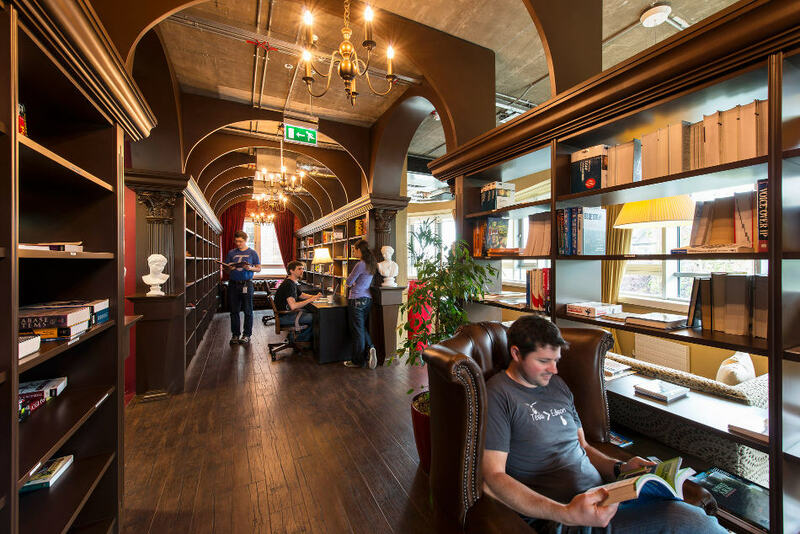 Â To further push the envelope and inspire creativity among the many creatives that work in the Dublin office, Google provides free food in its in-house cafeteria, beer in its Irish pub, Segways for quick transport and numerous other perks. 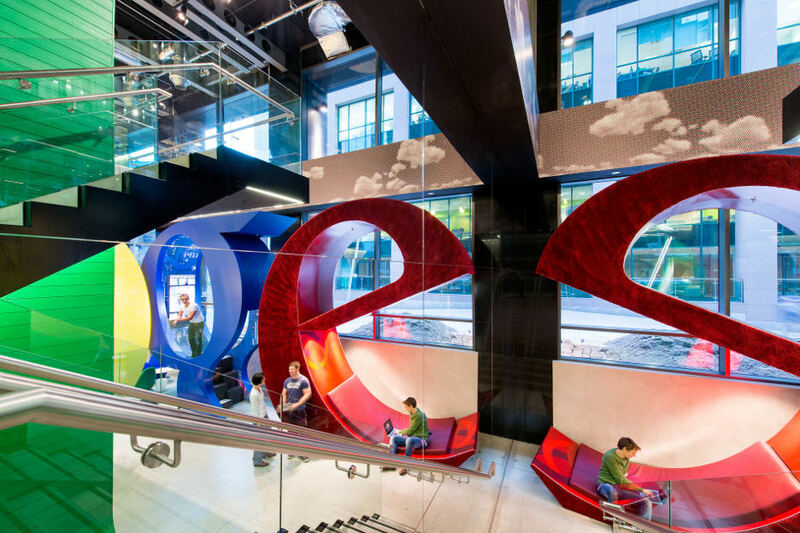 Take a look at Google Docks below to see their impressive setup. 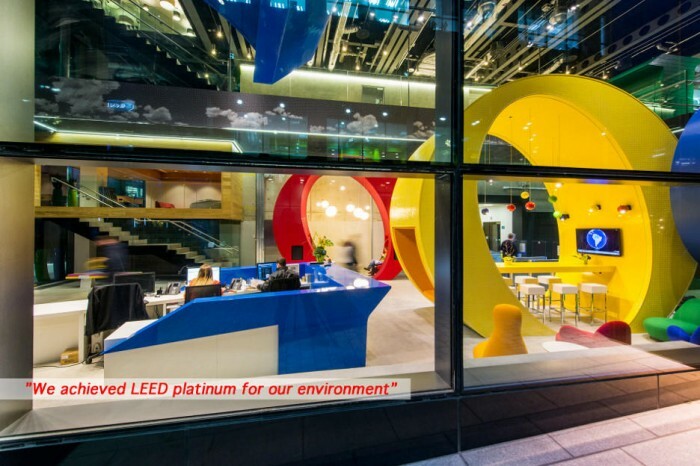 The highly recognizable “Google” letters in bright primaries can be seen as the focal point for the interior reception area and the outer entrance. 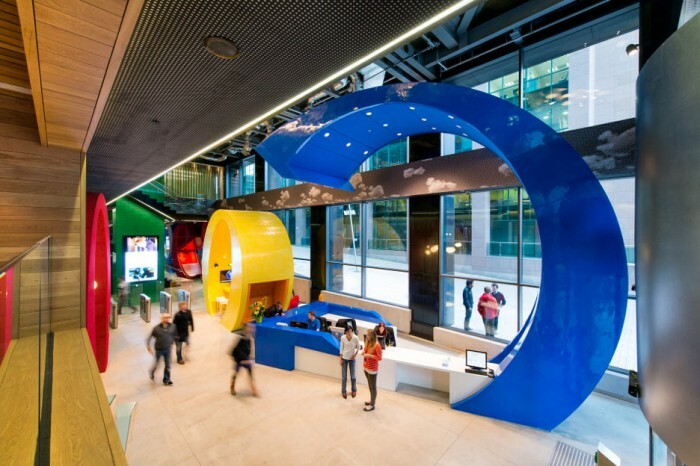 The giant letters house ‘work pods’ which are commonly found throughout all of Google’s complexes. 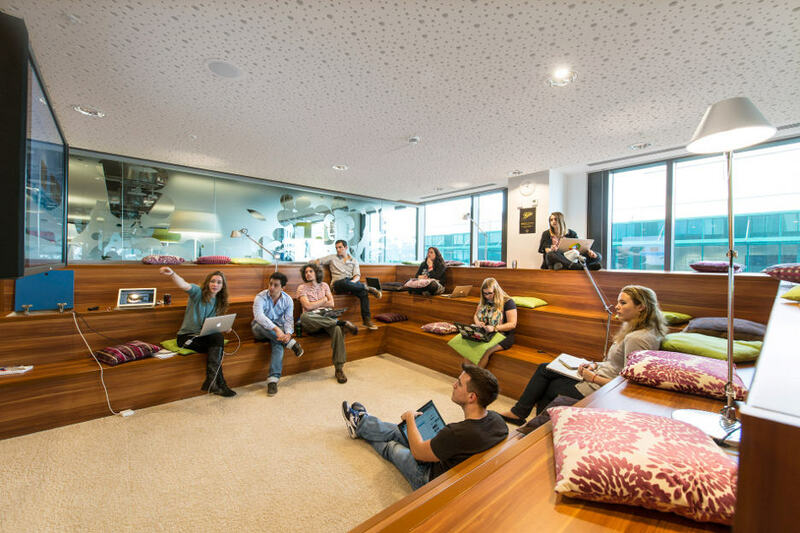 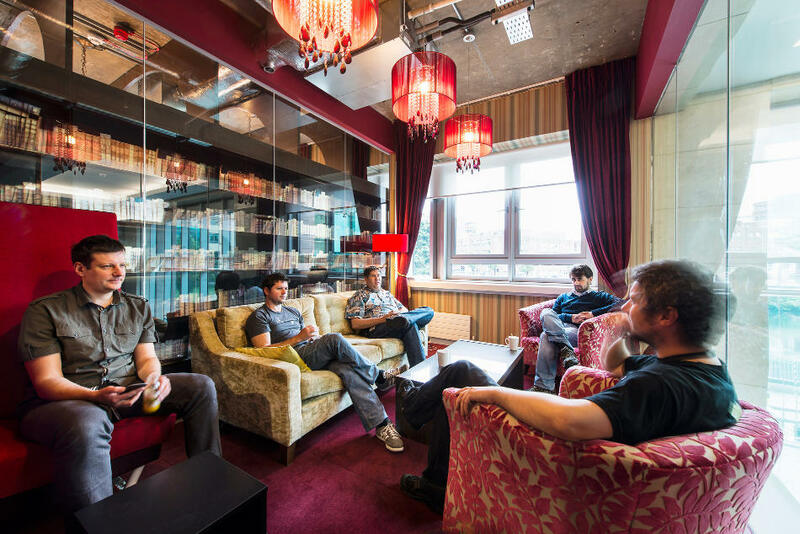 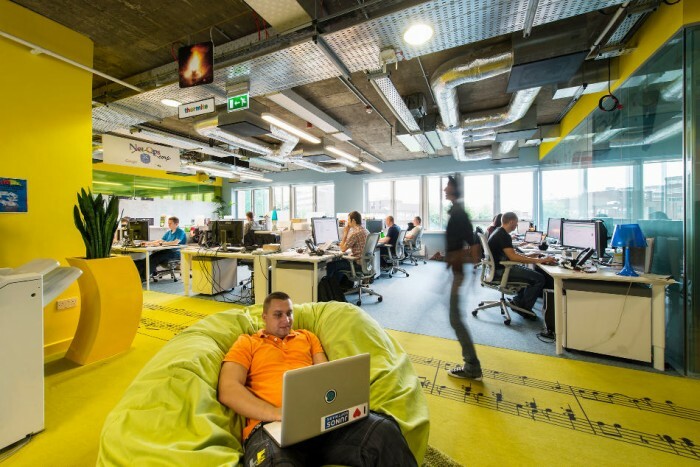 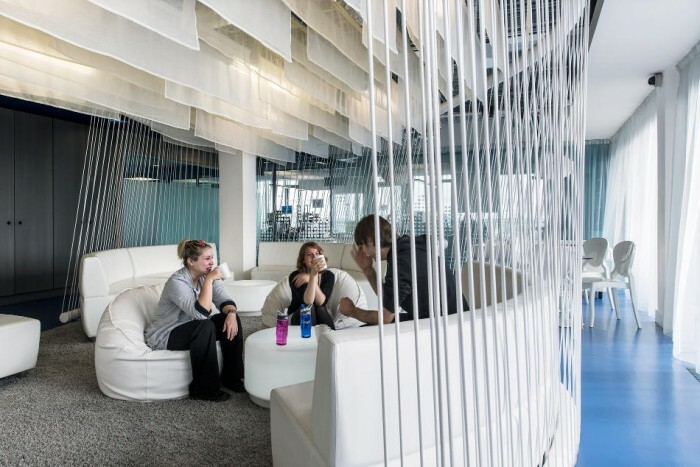 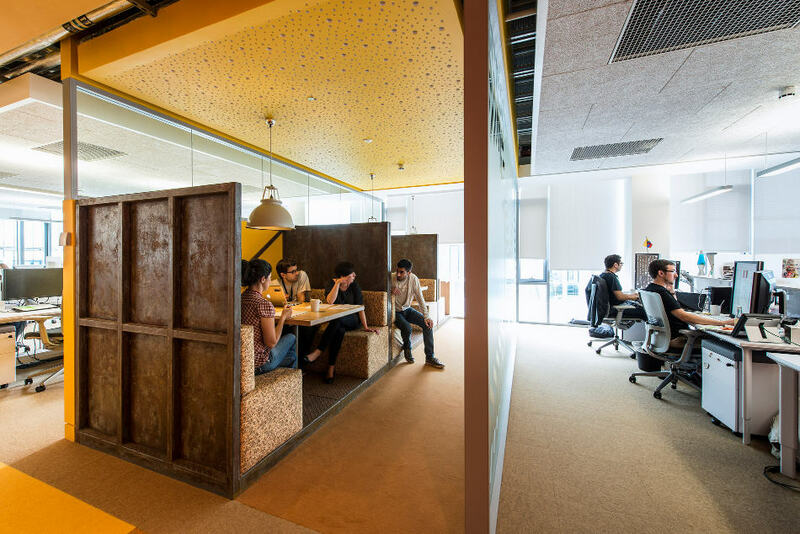 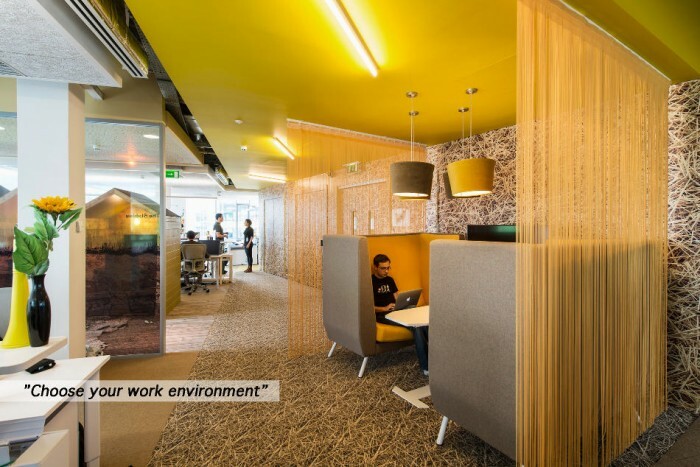 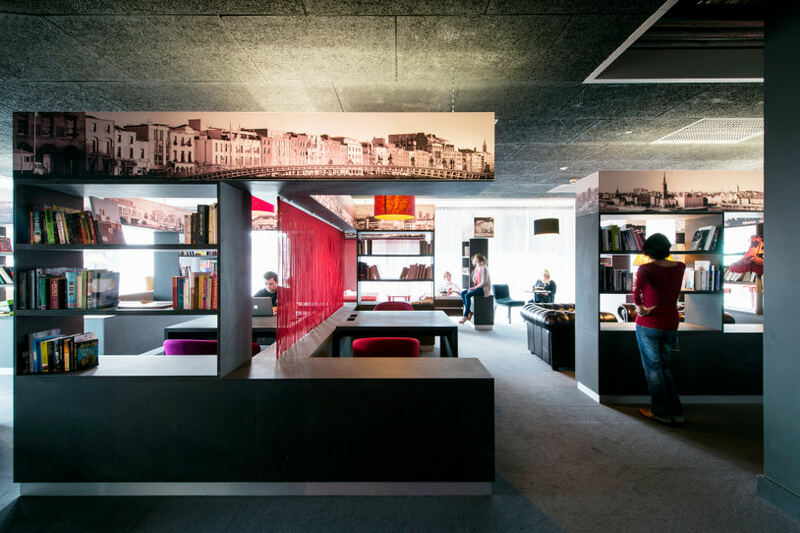 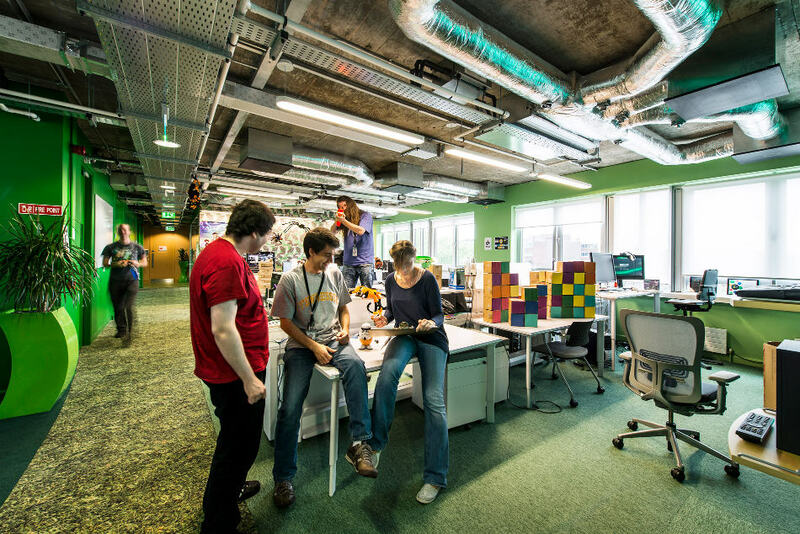 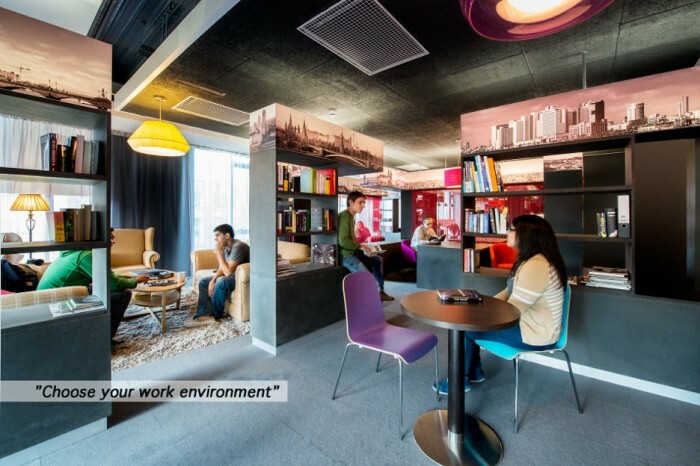 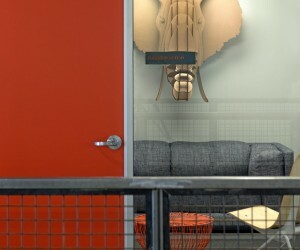 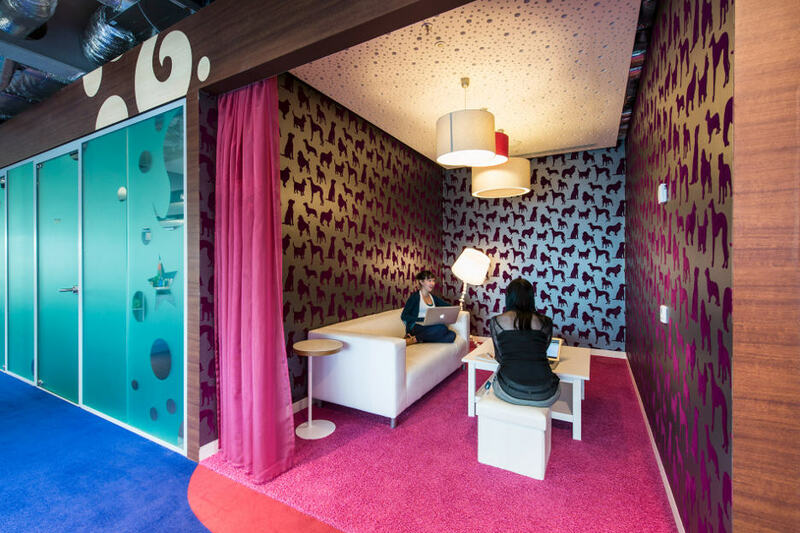 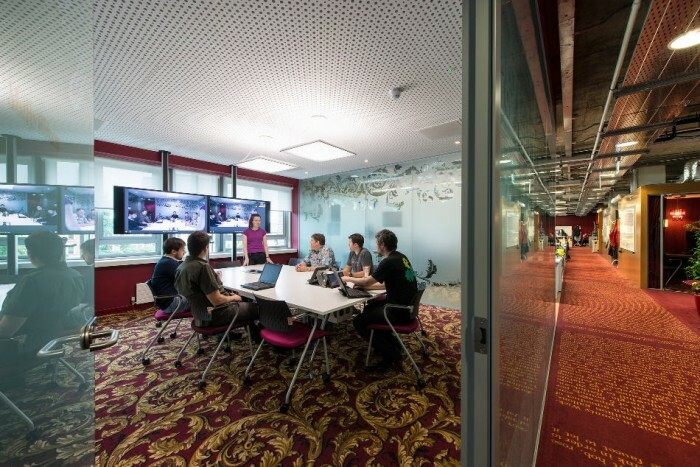 Many non-standard office spaces and collaborative areas such as this lounge can be found throughout the complex. 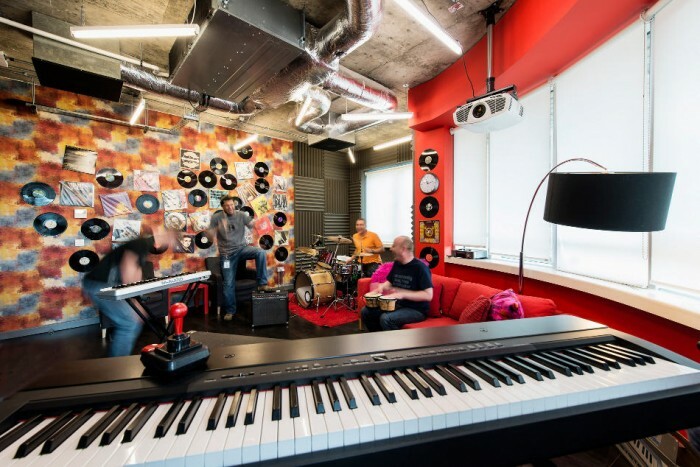 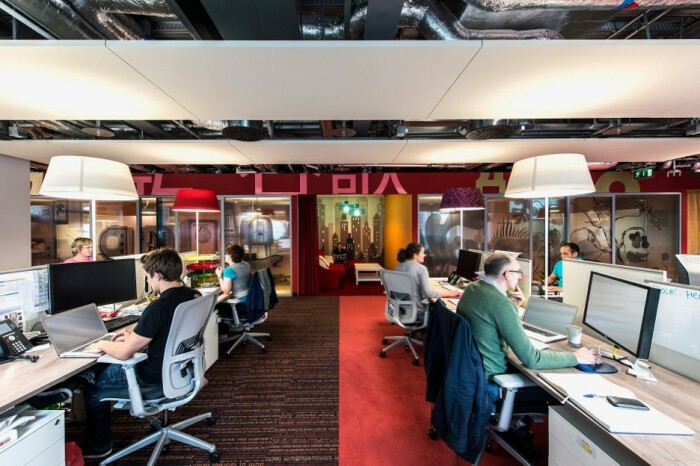 While much of the Google Docks offices are decorated in brilliant hues, this is workspace is a bit more subdued with black and white elements with touches of red. 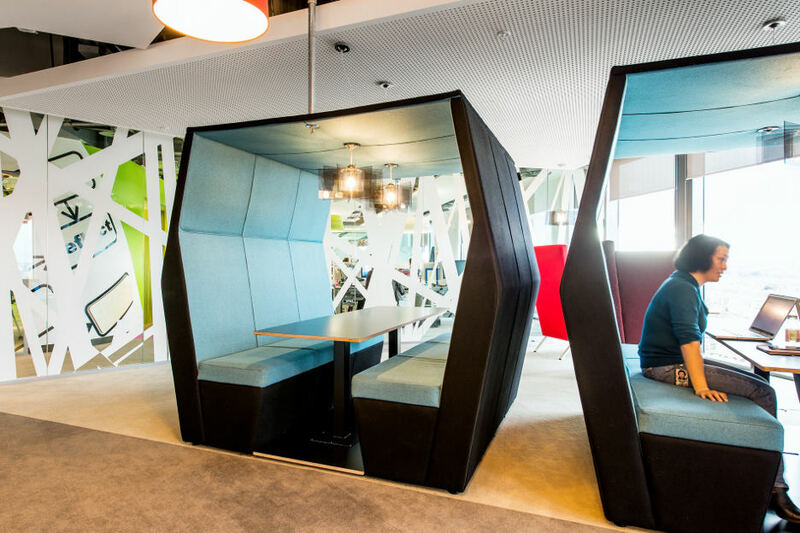 Many of the lounge work spaces throughout the complex boast brightly hued modern furnishings such as the curvy lounge chairs shown here. 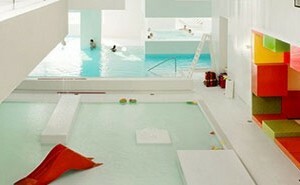 This area reflects the use of themed decor to set the mood and promote specific activities. 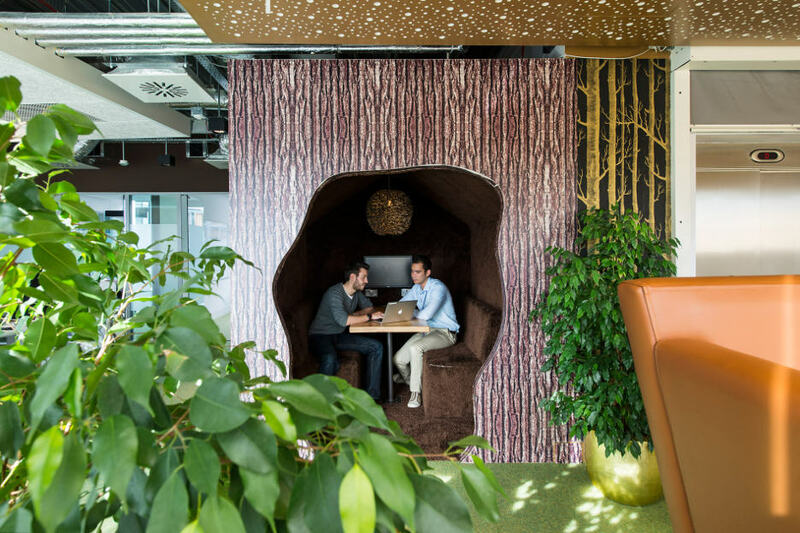 This nature-themed space features grassy grandstand seating, dewdrops on the ceiling and woodsy accents. 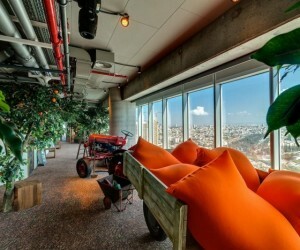 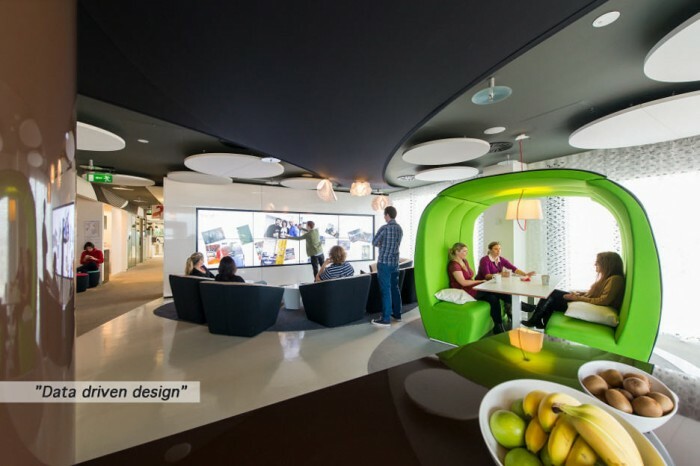 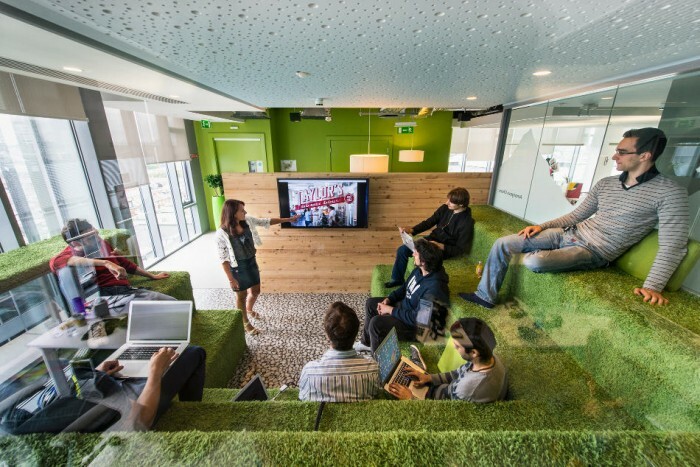 ‘Bean bag’ seating, shown here, enables employees to kick back and relax while waiting for that next big idea to come. 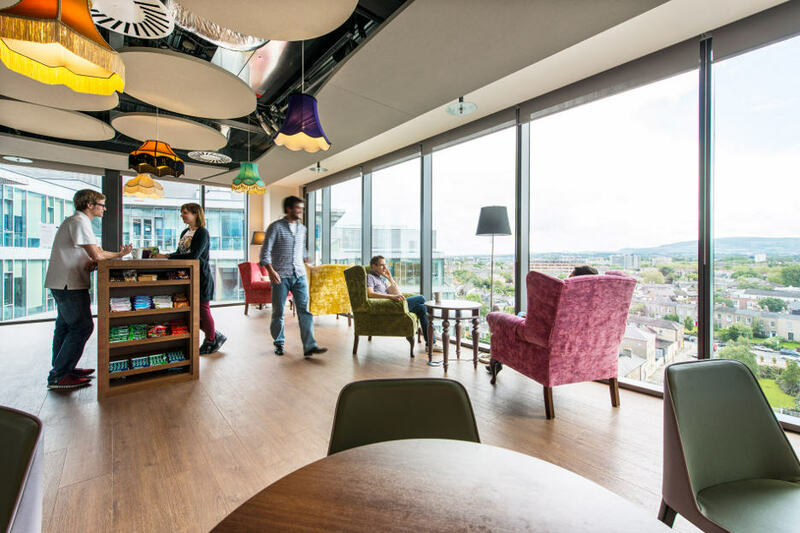 The Dublin skyline and brilliant blue Irish skies are welcomed indoors with expansive use of windows throughout the complex.